View of “Parviz Tanavoli,” 2015. Background, from left: Big Heech Lovers, 2007; Twisted Heech, 2007. 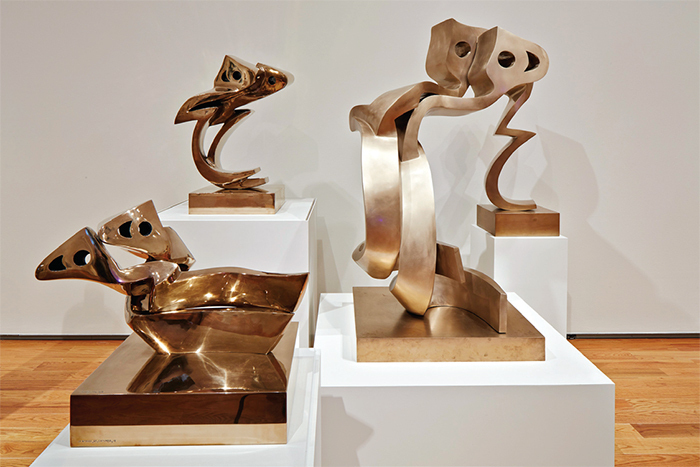 Foreground, from left: Horizontal Heech Lovers, 2008; Standing Heech Lovers, 2007. Photo: Charles Mayer.